New York NY: Getting caught up! It has been an eventful exciting couple of weeks. There are many wonderful things happening in the NYNYN mission. 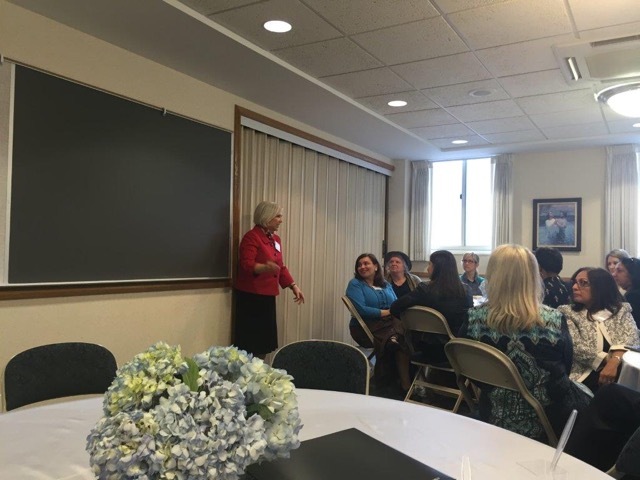 Sister Neill Marriott of the YW General Presidency has been in town. She had many opportunities to speak and share testimony. 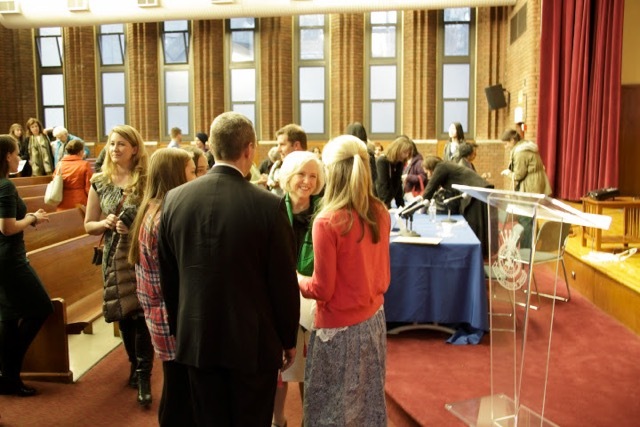 The LDS Public Affairs hosted a special diplomatic luncheon at the UN. A few of our sisters were able to help. On Thursday afternoon she spoke at the Salvation Army International Center, sponsored by the NGO Committee on the Family, International Council of Psychologists, Latter-day Saint Charities, and the Universal Peace Federation. The topic was "Fostering World Leadership in Young Women - Starting with the Role of the Mother". She was one of 4 speakers and represented the Religious aspect of the topic. I loved listening to her and was very inspired by all the speakers. It gave me such hope for this world. There are many good people trying to help make the world a better place. "The family, as the fundamental unit of society, continues to be the best-suited entity for preparing young girls for leadership roles in the community and the world. While some may belittle mothering as an unglamorous, unrewarding burden, studies show that women who are actively involved in nurturing their daughters raise women who are more successful in the workplace and the community." 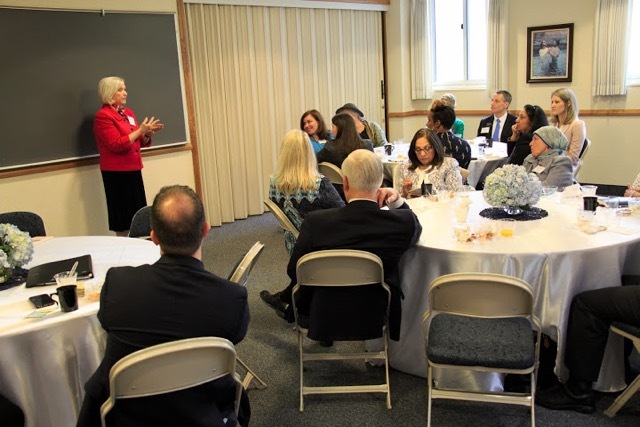 On Friday morning Dave and I were invited to attend an Interfaith breakfast hosted by the LDS Public Affairs in NYC. 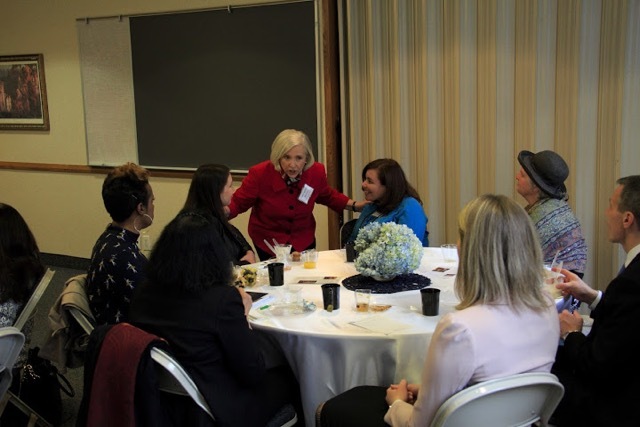 It was an amazing opportunity to meet with women of all faiths, including a Jewish Rabbi, Baptist Minister, Muslim, Buddhist and Hindu women, and a few women of various Christian Sects. It was a small intimate group which made it possible to get to know one another better. Once again Sister Marriott spoke. She shared some of the things we do in the church to help foster Faith in God in our Young Women, and to help them find worth and confidence. They were all very interested in the Personal Progress program which she shared in detail and presented each one a copy. 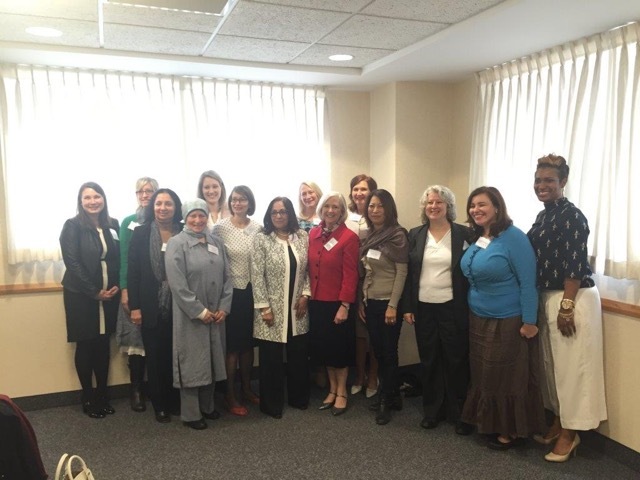 Many of these dear women shared their own journey of finding faith and what they are trying to do to help others. I was humbled and so grateful to be in attendance. I am also so grateful to be a member of The Church of Jesus Christ of Latter-day Saints and for the incredible blessing it has been in my life. I was also reminded of the good people in this world and the hope we have for a bright future as we work together to strengthen the next generation. Dave has spent the past couple of weeks interviewing each missionary throughout the mission. He does this every other transfer cycle. On the day of each zone's scheduled interviews we also hold a zone study. I have enjoyed attending these and interacting with the missionaries. It's a tradition to take a "zone selfie"
We still have a few zone interviews to go! It was wonderful to enjoy a few minutes with Elder Brent Hillier, an area authority and his beautiful wife Claudette while they were in town. Dave has known them since he was a boy. Brent has always been a mentor and great friend to Dave. They were recently called to preside over the Utah Salt Lake City East Mission. We are so excited for them! On Saturday Lauren and I met up with the missionaries in Harlem to do some street contacting and share the Easter Video. It was so humbling to stand on the street corner with these missionaries as they try to share the gospel with the few who will listen. They do this tirelessly everyday because they love the Savior and they know the Joy the gospel brings. I have such great love and respect for them and admire the sacrifices they have made to be here. We took a minute to get some lunch at "Harlem Shake"